There are a lot of great summer cocktails out there and this is one of my favorites. It is incredibly simple and so delicious for enjoying on hot summer days. I also like it because I totally love sparking beverages. Yes, I know this is girly of me, but I really love how refreshing bubbles seem to make everything taste. If someone doesn’t want the bubbles you can always use still water instead. Cheers to summer! 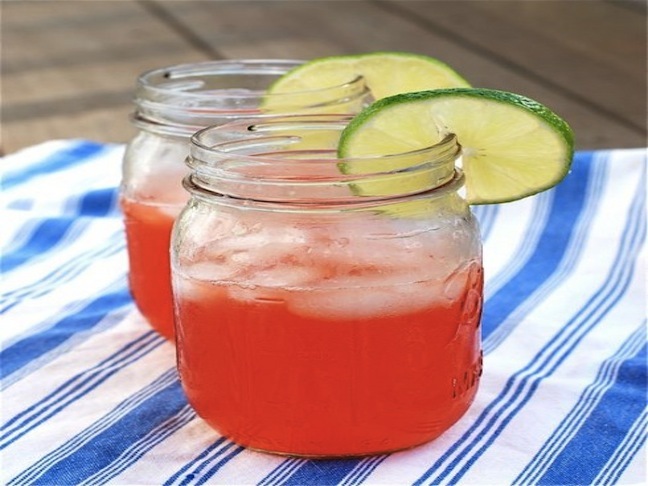 Mix the strawberry vodka and lime juice together in a cocktail shaker with ice. Divide it equally amongst two cups. Divide the sparkling water equally amongst the two glasses and add ice cubes to each one. Stir gently with a cocktail stirrer. Garnish with lime and serve.